How does private label content work? Why would I use PLR content when I can write it myself? What if I get found out? Why should I use PLR.me content? 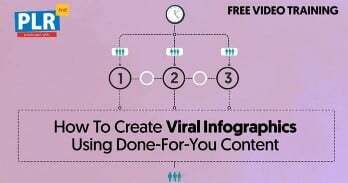 Are other people using the done-for-you content? What are the Content Marketing Tools? Can I purchase the Content Marketing Tools individually? Aside from blogging, I don’t really know what to do with the PLR.me content. Any ideas? What else can I do with the content? Can I use the PLR.me content as is? Do I need to rewrite the content? Can I really use the PLR.me content however I want? Am I allowed to translate the PLR.me content in another language? Can I create Kindle books? Can I use the PLR.me material to create and sell PLR content that my clients can brand and sell as well? Do I have to have a membership to purchase PLR products? When are credits added to my account? What happens if I don't use all of my download credits each month? What if I run out of credits? Can I see a sample of the PLR.me content? What exactly do I get when order? How will my PLR.me content be delivered? I can't unzip the files. What do I do? Can I request specific topics? Can I get the PLR.me wallpaper graphics without the quotes text on them? Can PLR.me setup the content or website for me? Never write from scratch again. Instant access to over + done-for-you brandable coaching resources. PLR stands for “private label rights” and is also known as brandable content, licensed content, or done-for-you content. These are just different terms for the same thing. It simply means you get a "non-exclusive license" -- which means others might also license the same item, just like stock photos. It’s simple… You pay for a license once and you keep 100% of the profits. No ongoing license fees or royalties. And no attribution necessary. Licensed content is literally EVERYWHERE. ...to coaching resources like courses, content, and books. But because of its very nature, it’s hidden in plain sight! Most people don’t know (or care!) whether a product was licensed or not. If it fulfills a need and is useful, they happily exchange money for value. You can brand the PLR.me content and sell it as your own. You can give it away. Print it. And more. The only thing you cannot do is let your clients brand and sell it as their own. In other words, resale rights, master resale rights, and transferable private label rights are NOT included in the licensing terms. It’s simple... whenever you sell or share PLR.me content with your clients, make sure you deliver the material into a non-editable format, such as a PDF document. Check out the full license terms here. We hear you. It’s important to infuse your methodology into the done-for-you content. But at some point, every busy and successful coach stops creating everything themselves from scratch. It's just not feasible to write every piece of content on your own, right? If you're doing everything yourself, it's impossible to scale your business. It's impossible to grow! And that's why you see smart experts create empires – people like Tony Robbins, Oprah, Dr. Phil, and so on. They're able to scale because they rely on teams of people to create content for them. That way, they can focus on growing their business and helping more people. Sure, they have the final say, but they didn't slave away staring at a blank screen, writing it all from scratch. And of course, you can do the same when you use done-for-you licensed content. You can still tweak and customize the material as you wish… and make it sound like you or change the format entirely. If you're like most people, you likely have dozens of private label products in your home right now. There are thousands of private label brands like Costco (Kirkland), Walmart (Great Value), Walgreens, or Target. Imagine if Walmart had to buy the farms and factories to create every single private label product from toothpaste to coffee? It's really not scalable. The beauty about private label products is that you can focus on making the product your own, without having to start from scratch. When you pay for a license, you are legally allowed to make the content your own, brand it, sell it, or give it away. Your clients are thirsting for inspiration, personal attention, and valuable information. And if your branded content can do any of those things, that’s all that matters. And when you’re consistently offering new handouts, resources, and products to your clients… your clients will love you for it! Private label products allow you to get there faster, without the usual headaches of doing everything from scratch. Licensing isn’t a “new” thing. In fact, every day local news organizations license stories from AP or Reuters and put it directly onto their site and in their broadcast. The same story goes on hundreds or even thousands of news sites. That’s how licensed content works. By licensing stories, smaller news organizations can get breaking news from around the globe, without needing thousands of journalists in multiple countries. Otherwise, it’d be cost prohibitive and incredibly inefficient to have thousands of journalists write about the same event. So they license the story and post it on their website. This is important because there are millions of people who visit websites directly and not from a Google search. People want the latest news without having to visit a dozen sites, right? And so, using licensed content is about adding value for your clients, and not just about what your search ranking is. If Google find two pieces of the same content, they will determine which one is more relevant to the search. Sometimes that’s your piece. Sometimes it’s another. It’s a bit more detailed than that, but that’s the jist. You don’t get penalized or completely removed from Google or anything crazy like that. Google simply rewards content that adds value to the search results. And so, the moment you tweak your content, it’s not a duplicate. That’s why we encourage our clients to make it their own… or even change the medium entirely! Go from text to audio, video, infographics, and so on. This adds value to the content. And Google wants to have these valuable resources in their search results. So take the brandable content that's already good, and make it better. Make it more relevant and valuable to your clients. It's a win, win, win! We’ve been around since 2008 and have created over + done-for-you coaching resources and counting. The other guys can’t even come close to this. We exclusively focus on health, self-help, and personal development content. This lets us hire industry experts from the US and Canada to create authority content for you. They don’t write about coaching one day and dog grooming the next. They know what they’re talking about, and then they write about it. We have strict standards and intensive training to ensure our content is well-written, well-formatted, and of course evergreen. This kind of quality content can totally change your business. Plus, you can choose the topics you want, when you need it. And yes, to be clear. WE are the original creators of the content. Our in-house writers have created the entire + resources in our content library from scratch... so you don’t have to! But we’re not just about the content. We also have dozens of cutting edge training videos, use cases, and marketing resources to get you off the ground fast. And our biggest secret weapon? We’ve spent over $300,000 custom-developing content marketing software to help you automate your marketing and get the most out of your PLR.me content. No one else offers anything close to this. Oh and we’re always around to answer all your questions and help you grow your practice. Email us, message us on Facebook, call us. We’ve got your back. 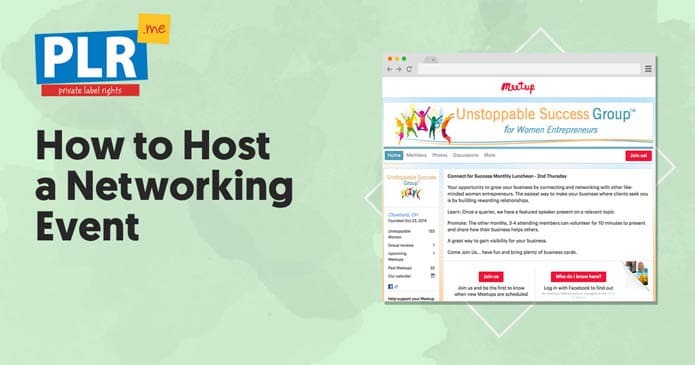 You get access to the best coaching resources that you can brand as your own – without having to write from scratch, and without having to hire and manage expensive freelancers. The licensed content allows you to create amazing products, courses, and signature training programs in record time. You’ll release new content you never thought possible like podcasts, videos, emails, and webinars. You’ll naturally attract new clients and deepen your existing client relationships because of the valuable new content you'll publish on an ongoing basis. You’ll create new income streams because you’ll extend your product line quickly, without paying for expensive freelancers and designers. Your social media following will grow because of the awesome content you'll share (that was written for you). You’ll be known as the trusted expert authority in your niche. …and all of this with very little additional work. This is the PLR.me advantage. Just like stock photos can be used by others, the done-for-you PLR.me content is the same. Even though licensed content is used by some of the top businesses and health and wellness experts – and even though it’s literally everywhere across different mediums online and offline – it might seem a little foreign. The beauty of licensing is that once you own a license, you can make the material completely your own. Your brand, colors, voice, examples, and stories. And when you make these changes, it ends up looking totally different. Honestly, we’ve been shocked by what our clients are doing with the PLR.me content. It becomes completely unrecognizable. If they hadn’t told us the source of their content was from PLR.me, we never would have guessed! We featured some of these case studies in our Content Inspiration Gallery. So don’t worry about what others are doing. Stay in your lane. Inject your personality. Identify with your audience. Your audience will love it! Our mission is to make your life easier so you can grow your practice and transform more lives. The PLR.me content saves you countless hours each week, but we wanted to take it a step further. That’s why we formed an in-house development team to custom create a dozen web-based tools to make it easy and fast to use the done-for-you coaching resources. Each tool is specially designed to help you get the maximum use of your content in your business. These automation tools will make your creating, branding, and publishing a breeze. Oh and these tools are exclusively available at PLR.me. You won’t find them anywhere else at any price. Learn more about our content marketing tools and how you can save even more time. The Content Marketing Tools are exclusively available in the Growth plan. They cannot be purchased individually or as a package at this time. Step 1: Create a free account and explore the PLR.me Content Library. Step 2: Review our free Content Marketing Training and Tutorials. 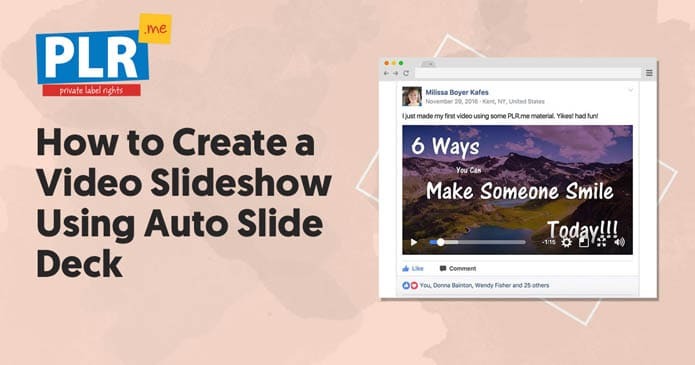 We have several video tutorials to learn how to use the PLR.me content to get traffic, attract clients, and create coaching products. Step 3: Review our Content Inspiration Gallery. You’ll discover how some of our clients are using the done-for-you content in this case study library. Step 4: Check out our Content Marketing Resources. 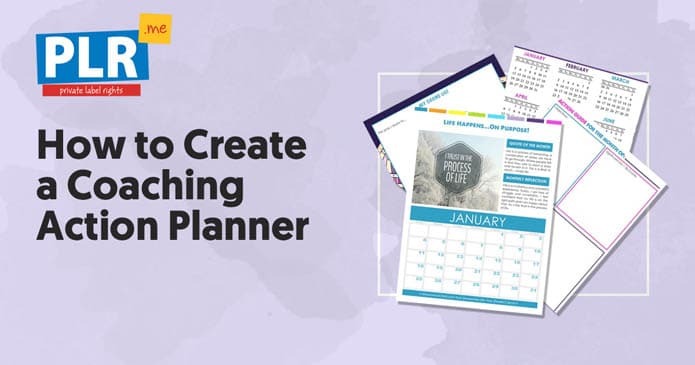 You’ll get free templates, our weekly content publication schedule, marketing checklists, swipes and other time-saving resources. Private label content is about so much more than filling up your blog. In fact, if that’s all you did, it would be a waste of this powerful content. It's about creating courses, webinars, live events, membership sites, and physical resources that you can give to your clients at your sessions. This is the kind of stuff that you can charge extra for! And this opens yet another income stream for you. ...in private members areas, in physical books, or in videos and emails… and so on. When you do this, you’re changing the game and unlocking massive opportunities. Different mediums, different formats, and different places that extend your reach and attract new clients with ease. So, mix it up. Give your clients a variety of resources in the medium they prefer. Pretty much anything. For real. 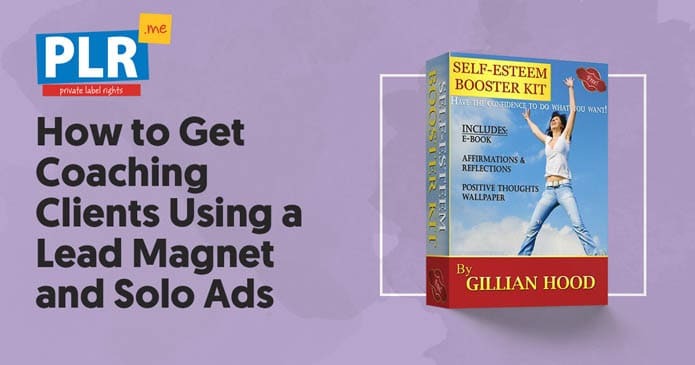 You can create products, courses, webinars, videos, podcasts, physical products, opt-in offers, content upgrades, lead magnets, social posts, email newsletters, membership sites, signature training programs, and more. Need some inspiration? Check out the the brilliant ideas that our clients shared inside the Content Inspiration Gallery. Yes, you most definitely can! When you purchase a license to the PLR.me content, you can brand, giveaway or sell the material with your name or business as if you had created it. And you can do this without paying any royalties or fees. It’s that simple. Remember that first and foremost, your site should be a valuable resource for your prospects and customers. That’s why we recommend you try to "niche-ify" or rewrite the content so it’s relevant to your audience. Obviously, the more relevant the content is, the more likely your client will enjoy it and share it with others. It’s not required, but we recommend it. Most clients find it easy to inject their personality, style, and brand into the content. Of course, if you change the format entirely by recording a video or audio version of the content, it’s unnecessary to rewrite the material. Rewriting the content can be as simple as changing the title, the first couple paragraphs, and adding your personal stories or examples. It’s so much easier to tweak existing content versus staring at a blank screen and starting from scratch. And it’s substantially cheaper than hiring and babysitting expensive freelancers to write it all for you. Plus we have a content rewriting guide and a title rewriting template that you can use, absolutely free. Pretty much. You can brand it as your own. You can sell it. Give it away. Create products from it. Post it on your blog. You can make physical products, courses, webinars... your options are endless. The only things you can’t do are give it to other coaches to put their brand on… and you can’t sell it in the Kindle store. We have really simple licensing terms that anyone can understand. Absolutely! It’s a fantastic idea to translate the brandable content. You can do it yourself or you can hire a translator to do it for you. In fact, we have a case study about this. Not only will you dominate international markets, but very few people are actually translating the coaching resources! No. Unfortunately, this is not allowed due to Amazon’s policies. Amazon does not allow any content that has been published anywhere else before – including your own if you've published it on your blog freely in the past! Their policy also includes PLR content. Again, this isn't a PLR.me specific policy. It applies to everywhere. No. Resale rights, master resale rights, and transferable private label rights are NOT included in the licensing terms. While you can sell the material as your own, you cannot sell the material to another person to brand and sell it as their own. For further details, see the license terms. Do you have to have a membership to purchase PLR products? No, you can buy credit packs without a subscription, however members get the lowest rates on credits, plus additional training and tools. You can see the rates here. Others force you to buy “packs” of content, but you’re stuck getting the whole pack, even if you only needed a few pieces. With PLR.me, you have the power to choose the content you need, when you need it. We have over + done-for-you coaching resources in the PLR.me Content Library, so your options are nearly endless. You can pick and choose the exact resource you want and use credits to download it. When you purchase a product, you’ll get all associated files for that particular product (i.e. source files, designed PDFs, etc) included. For example, if an article is 1 credit, you will get all source files included for the 1 credit – i.e. DOCX, TXT, and PDF. Some products are shorter – like articles, affirmations, and wallpapers – while others are more in-depth – like reports, worksheets, and checklists. That’s why each product type has a different credit value. You can get credits through standalone credit packs or a subscription (most popular and best value). New credits are added on your billing date (either monthly or annually). If you have a Growth monthly or annual plan, unused credits do not expire and rollover indefinitely for as long as you remain an active member. You have plenty of time to use your credits since there are over + done-for-you resources at your fingertips. If you have a free account, unused credits do not rollover and expire monthly. If your subscription term ends or is cancelled, you will lose all rollover downloads that you’ve accrued. New credits are added on your billing date, but if you need more credits right away, we have exclusive members-only discounts on credit packs. Login to your PLR.me account to access the discounted credit packs. Of course! 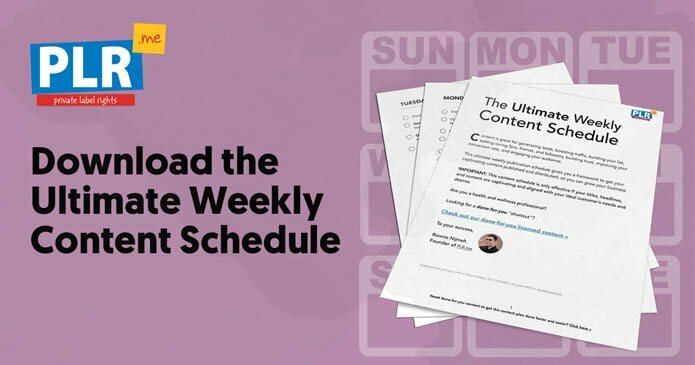 Download our free Ultimate Content Starter Kit. You’ll get a sampling of what our articles, affirmations, ebooks, worksheets, and graphics are like. You will get the materials in multiple formats so you can edit the material and make it your own... or use it as is. Each product page highlights the specific files you will receive. When you purchase a product with your credits, the downloads are immediately available in your PLR.me account. It’s really that simple. Some clients get an error when attempting to unzip the file on Windows machines: "The destination path is too long" or "File path too long"
Windows has a known issue when unzipping files. This error is caused when you use Windows Explorer or WinZip to extract files and it encounters a file path that exceeds the maximum character limit. To resolve this problem, please use the free alternate unzipping tool called: 7-Zip, that can handle long file paths. IMPORTANT: After installing 7-zip, RIGHT CLICK on the zipped file, then click "7-Zip". The free 7-Zip software will avoid this "file path too long" error and allow you to unzip the files easily. Just contact us and we’ll take care of it. Please provide at least 2 business days to process your request. If you decide to cancel your account or your renewal payment fails, you will lose any unused credits and you will also lose access to the members-only Content Marketing Tools. If you would like to keep your unused credits, you can re-subscribe (or re-submit a failed payment) within 7 days and contact us to re-instate the expired credits. Pay-as-you-Go Credits Refunds: Refunds for credit pack purchases can be made within 14 days of your invoice date, provided that you have not used any credits from the pack. 14 Day Trial: You are free to cancel your subscription at any time. Or, if the subscription just isn’t right for you, we’ll refund it within 14 days of your original invoice date, provided you have not used more than 5 credits and have not made use of any downloaded resources. There are no refunds on automatic renewal subscription dues (annual or monthly) after the initial 14 day trial period. File Download Refunds: PLR.me does not offer refunds or re-credits for downloaded files. File returns will only be considered based on technical issues with the file at the sole discretion of PLR.me. Yes, absolutely! Simply contact us with the topics you have an interest in, and we’ll be happy to forward your request to our Content Creation Team. Unfortunately, due to licensing terms for the fonts, graphics, and backgrounds, we are unable to provide the source files for the wallpaper graphics. We do not provide technical services at this time, however you can hire a virtual assistant from Upwork or other freelance sites to help with your technical needs. We also provide training resources to help you customize the content yourself, easily and quickly. For example, we have a content rewriting checklist and a title rewriting template that are absolutely free. PLR courses, products, ebooks, worksheets, and presentations. Access over + ready to use PLR coaching resources that you can brand as your own. Download what you need, when you need it. Brand, tweak, and sell as your own. No royalties or extra fees. Create courses, products, webinars, emails, or nearly anything else you can dream of. From just $0.40 per download.